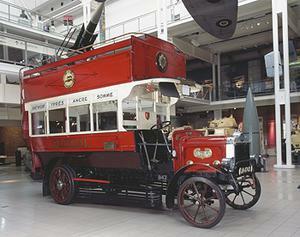 Double-deck, open-top London bus, built by AEC in 1911. 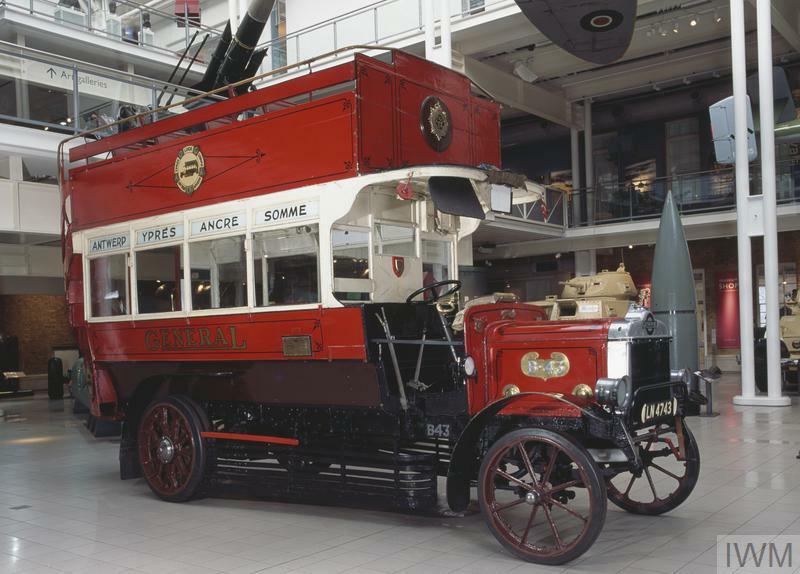 Used as troop transport in WW1, with capacity for carrying 24 fully equipped infantrymen and their kit. B43, late named after Bruce Bairnsfather's famous wartime cartoon character 'Ole Bill', was built in 1911 by AEC at Blackhorse Lane, Walthamstow in East London. 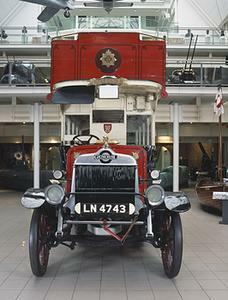 The vehicle worked on mainly the Routes 8 (Willesden-Old Ford) and 25 (Victoria-Seven Kings) before the First World War. 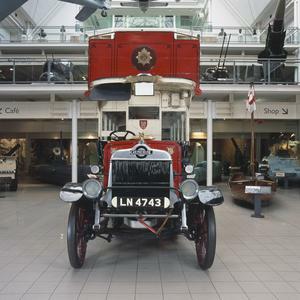 Purchased by the War Office in 1914 it served in France and Belgium throughout the war. It was used as a troop carrier taking relief forces up from rear areas to the front line and returning with battle weary men and sometimes the wounded. 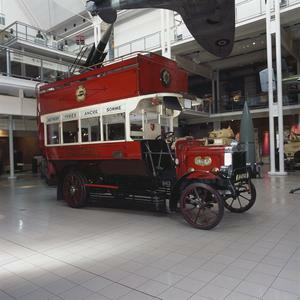 It was repurchased by the London General Omnibus Company in 1919. On 14 Feb 1920 it was inspected at Buckingham Palace by HM King George V, thus becoming the first bus His Majesty had ever boarded. 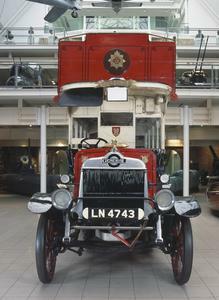 It worked the streets of London until 1924 when it was handed over to the Auxiliary Omnibus Companies Association, regularly appearing thereafter in Armistice Day parades and at other special events.